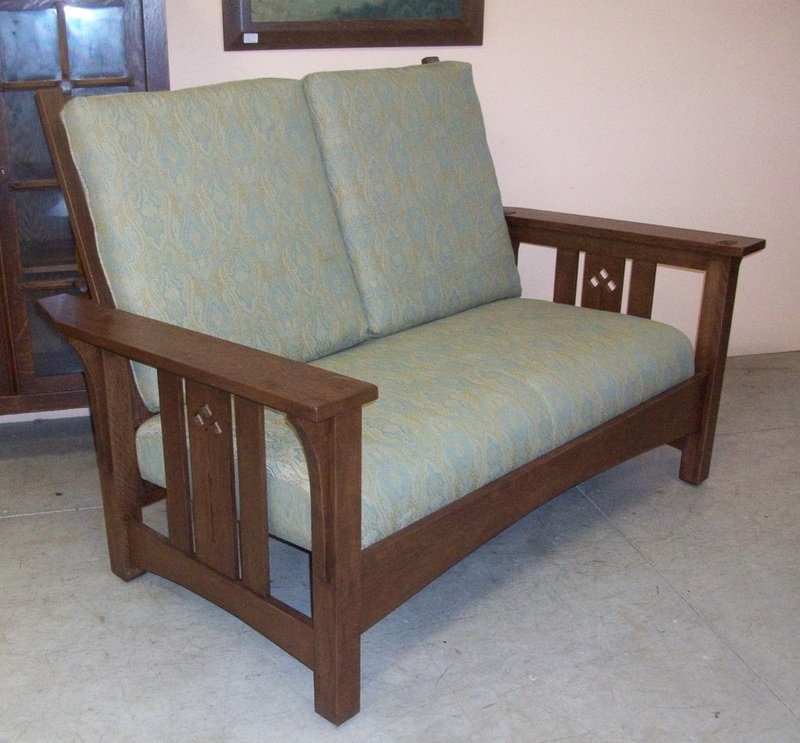 New Mission Oak Love Seat with an adjustable back. This is a comfortable Love Seat/ Settee with a cut-out design of a stylized flower in the side slat. The back can recline similar to a Morris chair.